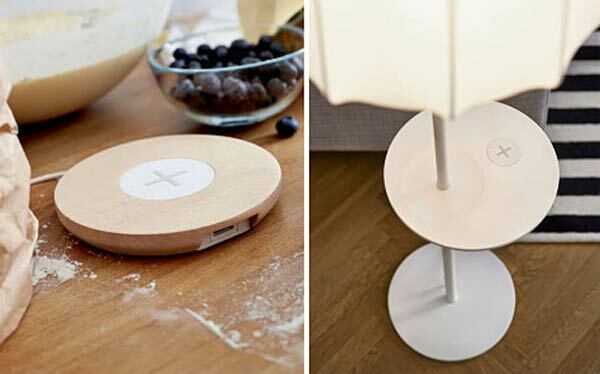 IKEA looks to be readying itself for the smart home business as it has announced the launch of a new range of Qi wireless charging-enabled furniture at MWC. 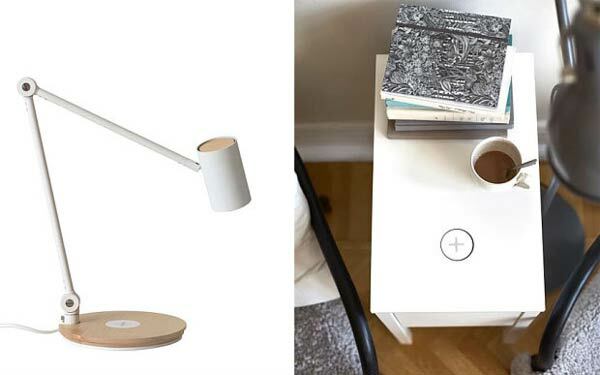 The Swedish furniture giant hopes to propel Qi further into mainstream adoption as it integrates the wireless charging functionality in a new range of desks, bedside tables and lamps, eliminating the inconvenience of messy cables for adoptees. "Through research and home visits, we know that people hate cable mess. They worry about not finding the charger and running out of power," IKEA's business area manager of lighting and wireless charging, Jeanette Skjelmose, said. "Our new innovative solutions, which integrate wireless charging into home furnishings, will make life at home simpler." The new range of furniture, designed by David Wahl, will be capable of charging any smartphone which supports the Qi wireless charging standard, which covers the majority of the top smartphones in the current market. In addition to furniture, IKEA is launching its own line of Qi-friendly chargers for those who aren't quite ready to replace their existing furniture/fittings. 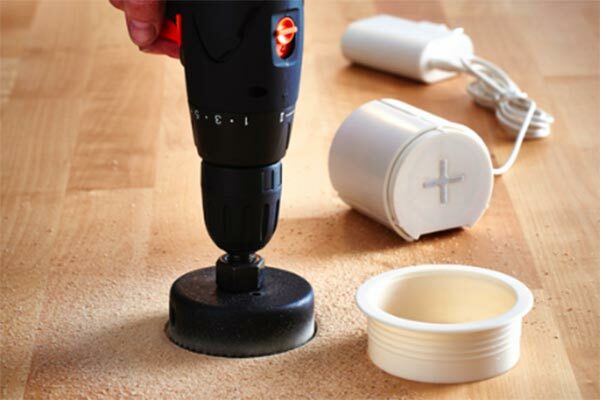 The standalone charging pads could be integrated into your current furniture, and will allow you to add wireless charging functionality with just a bit of drilling/DIY (see pic below). "Our belief is that mobile phones are vital parts to people's lives at home and their desire to stay connected, and Qi addresses an unmet need to keep devices powered," said Bjorn Block, IKEA range manager for lighting and wireless charging, in a statement. "As a member of [the Wireless Power Consortium], we value the access to the leading and most advanced global standard for wireless charging." The build-it-yourself furniture company's wireless charging collection is set to arrive in April 2015 for Europe and North America, with products starting from around £30. A timeframe for global availability has yet to be specified but such a roll out is said to be "in the works". I must admit, I find my Qi stuff really handy, I just wish more manufacturers would adopt it. Perhaps, but it says ‘'with products starting at £30’' the charger could come attached to a bed side table!! I think it's a pretty clever move, as long as it's reliable, easy to replace in case the charger breaks and doesn't double the price of a product. I still have nothing that charges wirelessly……..which is shocking considering how much of a gadget man I am. It really goes to show how slow this tech has been getting to the masses.